WOW WOW WOW! Seller wants tri-level sold quickly! House price and bonus to buyer reflects work that needs to be done. This is not a short sale and not a foreclosure. Home does need a fresh coat of paint inside. 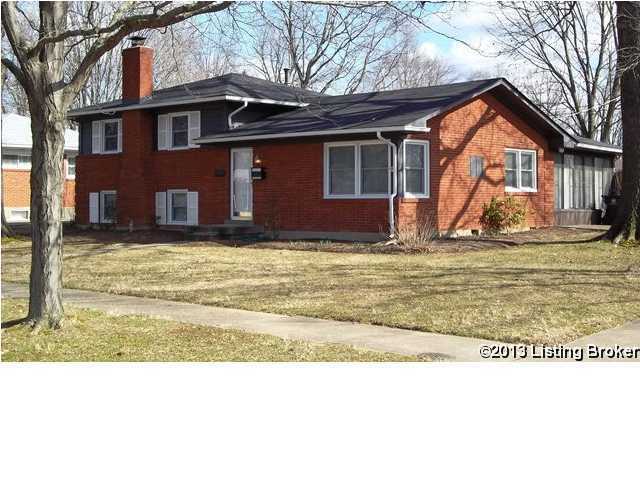 Beautiful hardwood floors on 2 levels and carpet on 3rd lower level. Electrical has been improved on thru-out. Roof, replacement windows, gutters, water heater all less than 1 year old. Lower level 4th bedroom also has an outside entry. Covered patio area, huge fenced in backyard, 2 storage units, concrete basketball pad. Sunroom is enormous (SQ FT included in AG) for lots of enjoyment. Super location and neighborhood. LISTING PROVIDED COURTESY OF Sherri M Zimlich, Coldwell Banker McMahan Co.
2900 Nepperhan Rd, Louisville KY 40218 is a Home, with 4 bedrooms which is recently sold, it has 2,167 sqft, 0 sized lot, and Driveway,No Garage,Off-Street Parking parking. A comparable Home, has 4 bedrooms and 2.5 baths, it was built in and is located at 2913 Sheldon Rd Louisville KY 40218 and for sale by its owner at $ 215,500. This home is located in the city of Louisville , in zip code 40218, this Jefferson County Home, it is in the MIDLANE PARK Subdivision, and RANGELAND are nearby neighborhoods.